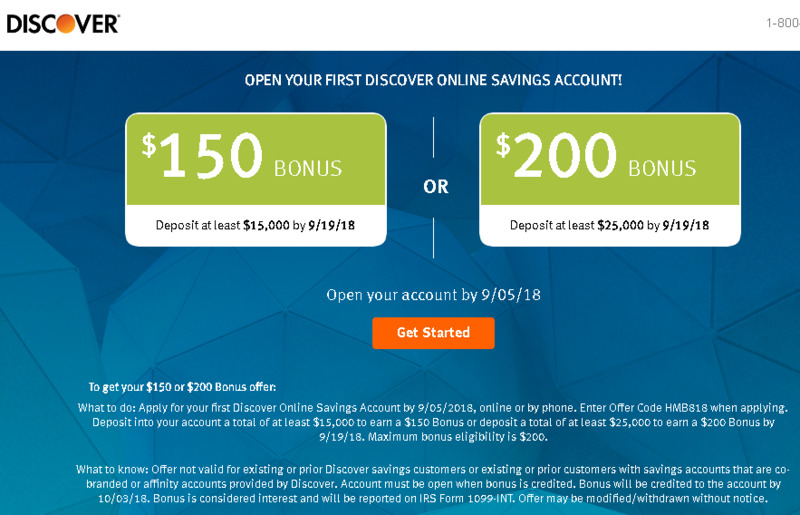 What to know: Offer not valid for existing or prior Discover savings customers or existing or prior customers with savings accounts that are co-branded or affinity accounts provided by Discover. Account must be open when bonus is credited. Offer may be modified/withdrawn without notice.
. Bonus will be credited to the account by 10/03/18. Bonus is considered interest and will be reported on IRS Form 1099-INT.